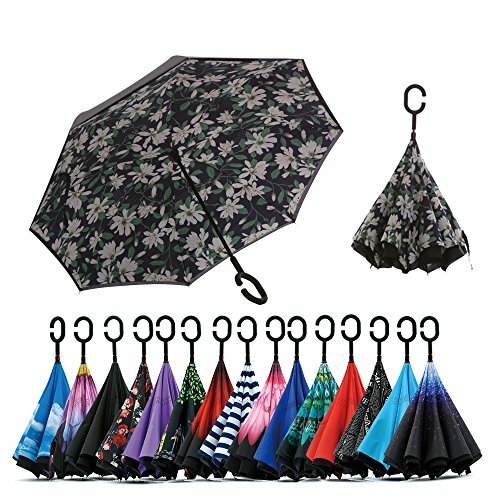 Unique Double Layer and Reverse Opening and Folding design: Fold the top "wet" layer into the under "dry" layer when you step into your car or store or wherever, which prevents water from dripping, keeping floors and cars dry. 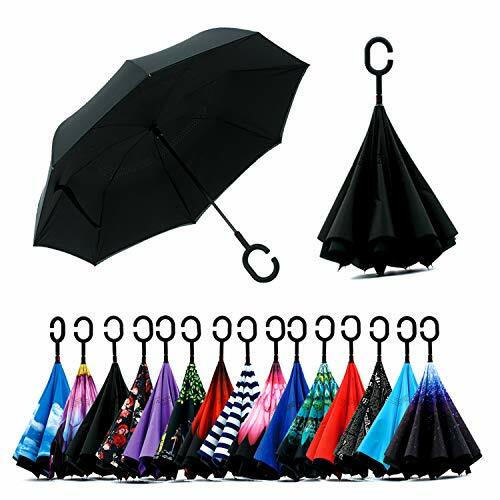 Comfortable Frosted C-shaped hand Grip Design: Cross the C-shaped handle over your arm, made your hands free for holding a baby, bag or mobile in the rain. 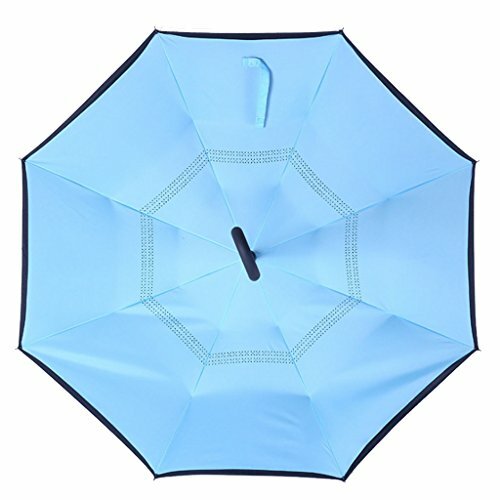 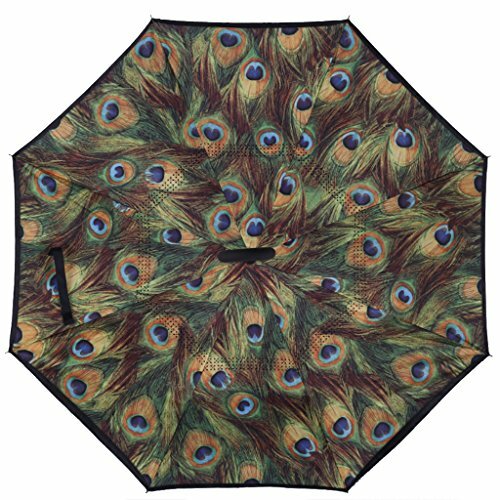 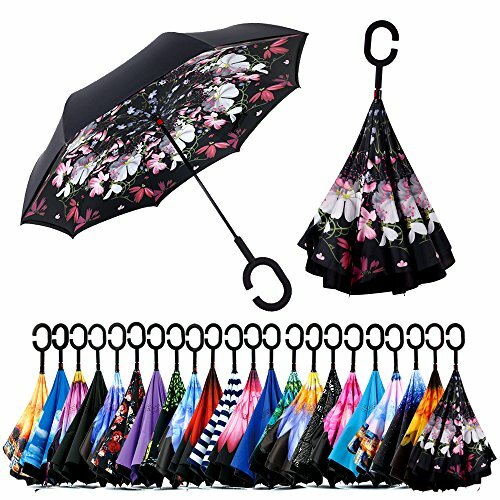 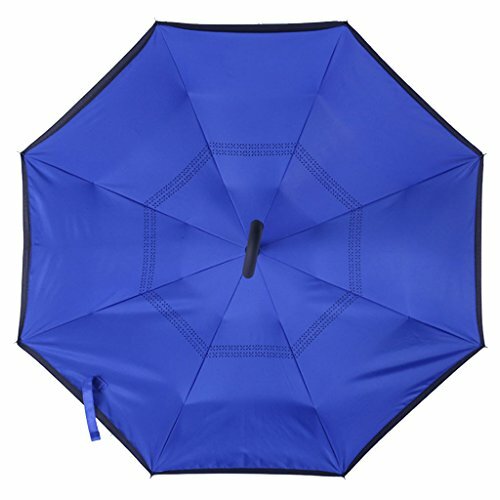 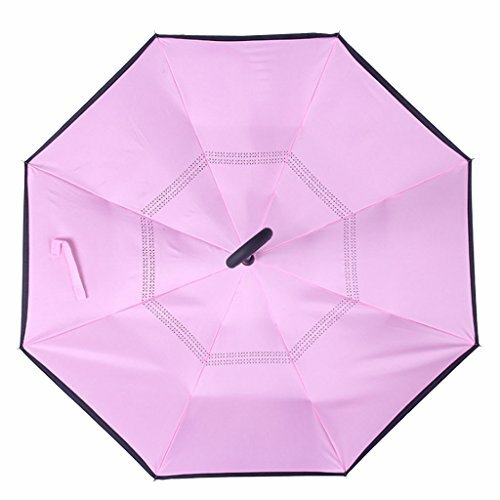 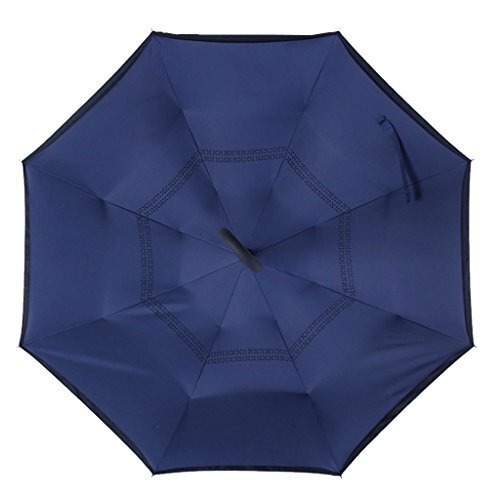 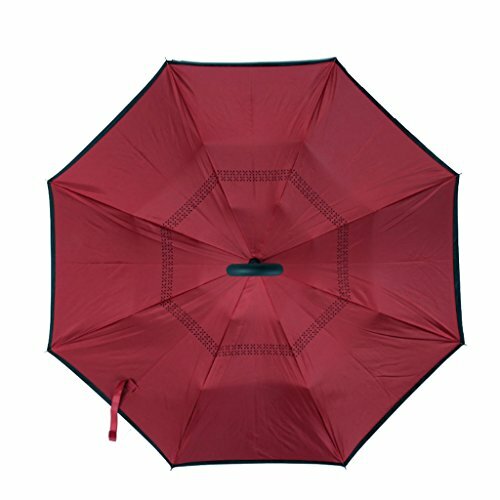 Smooth Top with eight steel ribs of frame: transformed into eight legs upon contracting the umbrella, can stand up on its own when closed, and be convenient for you to place anywhere. 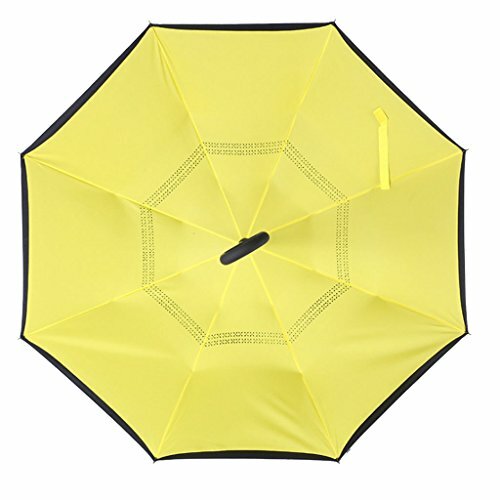 Control: Non-automatic/Manual With a simple click of the embedded button, you can open and close the umbrella in confined space when entering or exiting a building or car, it is less awkward and safer to open to open and close when crows, since the danger to poke in people's eyes has been removed by the design. 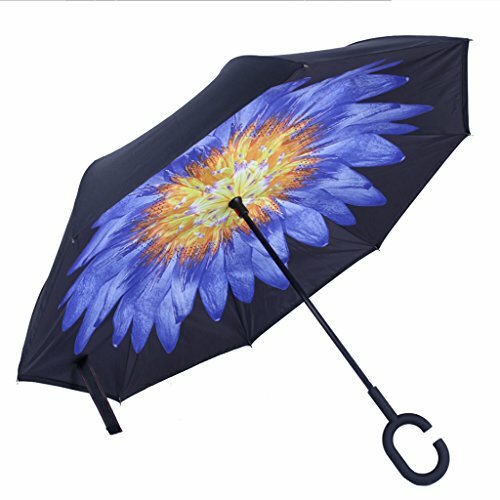 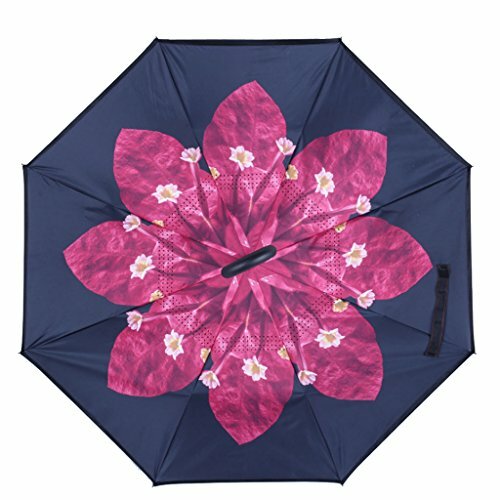 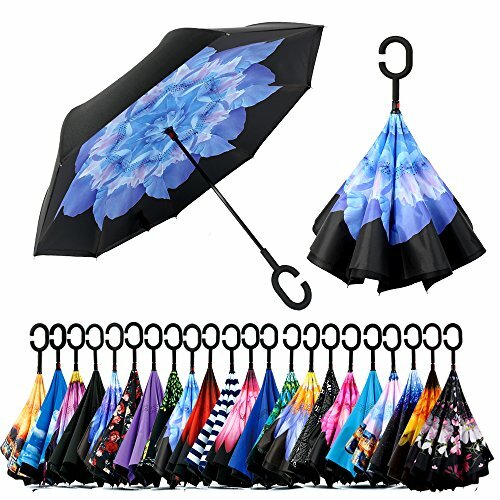 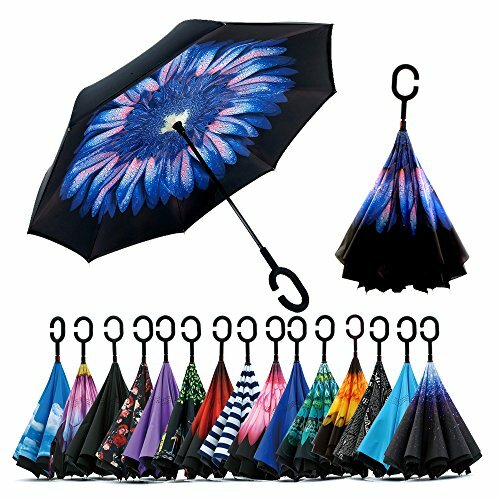 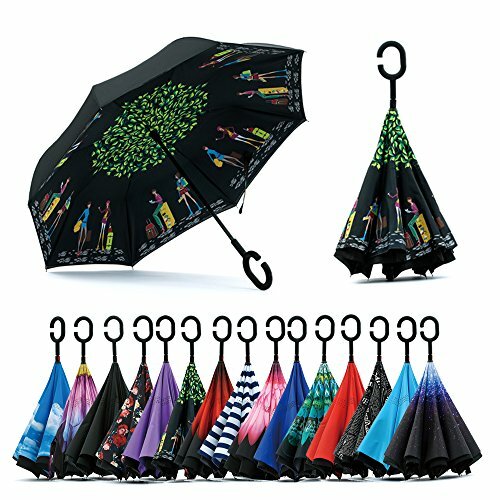 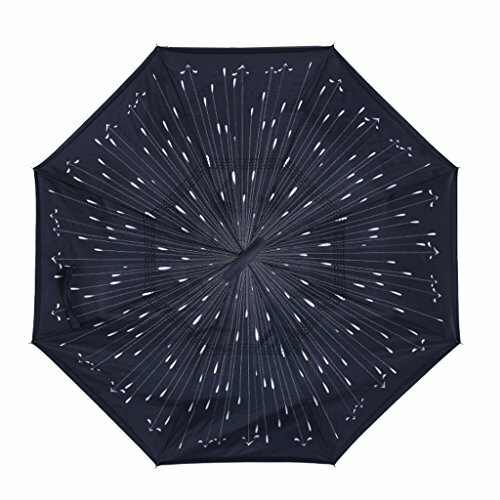 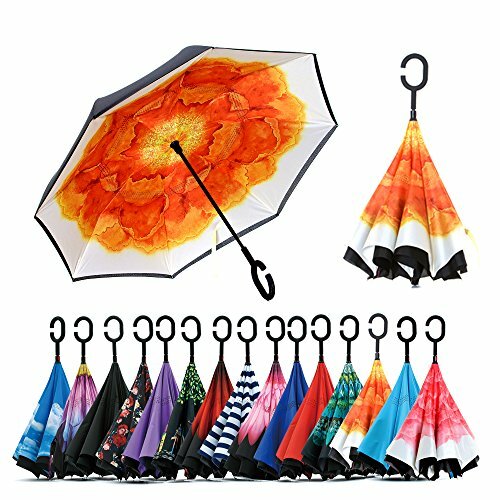 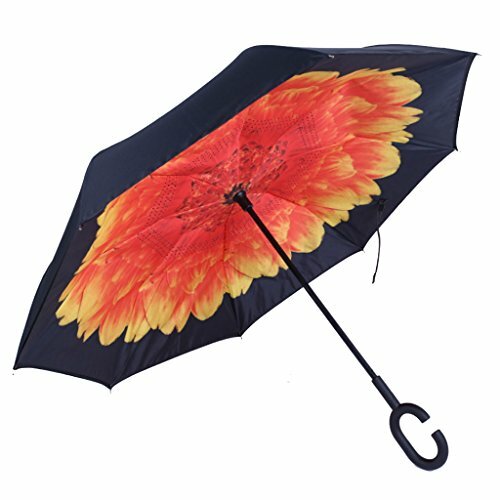 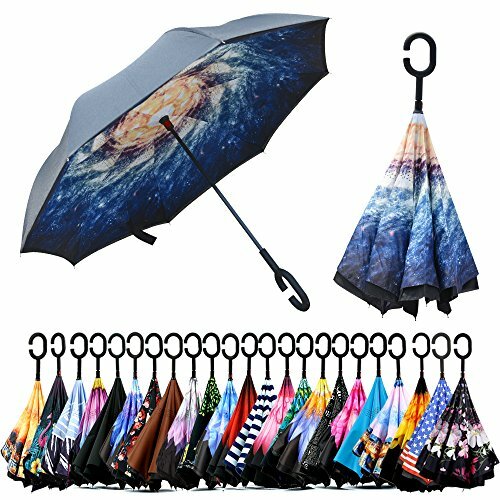 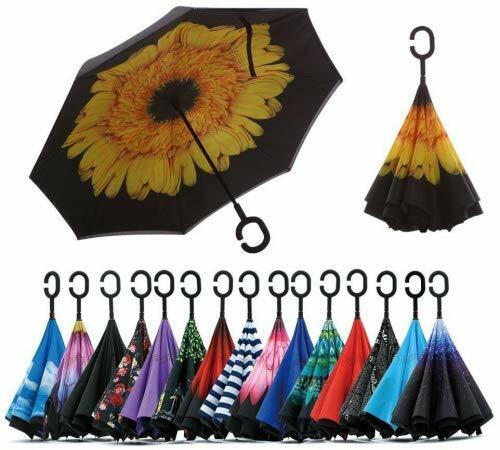 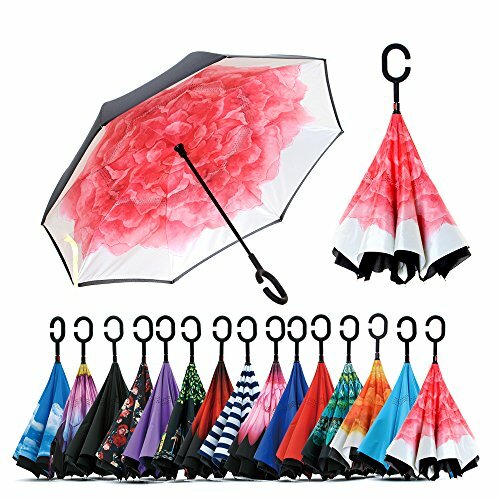 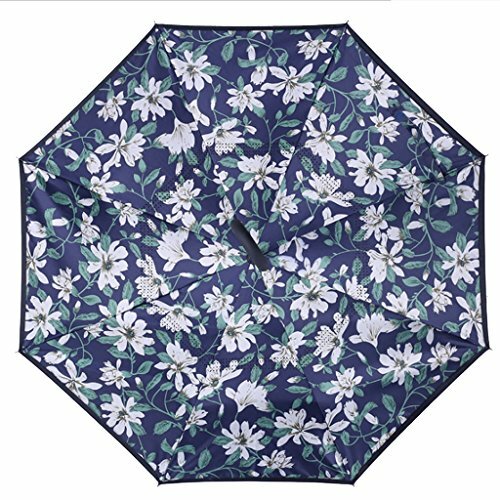 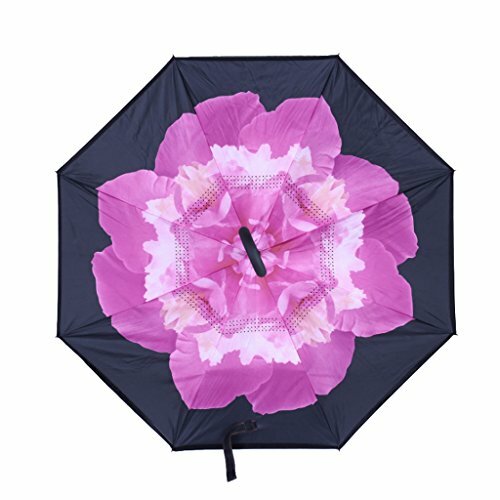 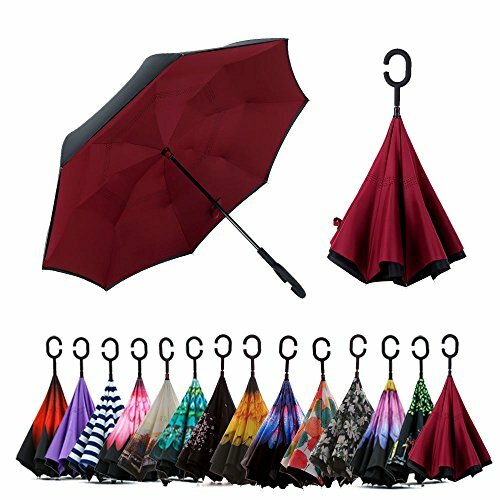 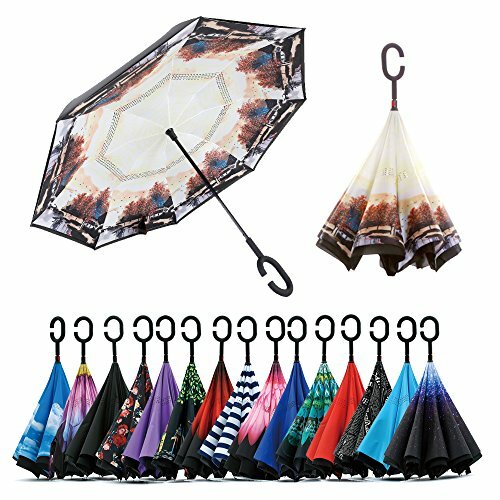 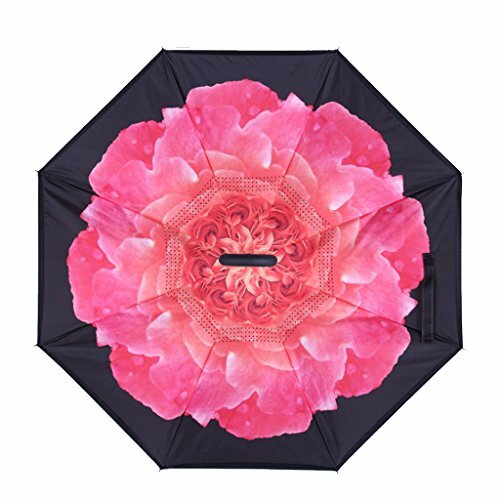 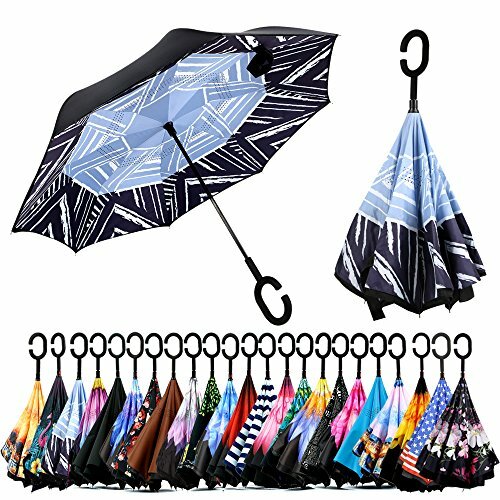 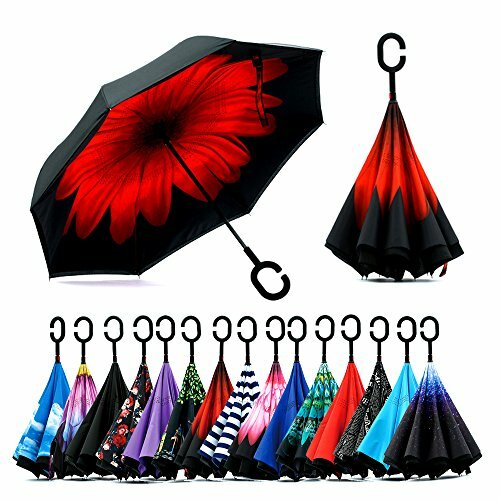 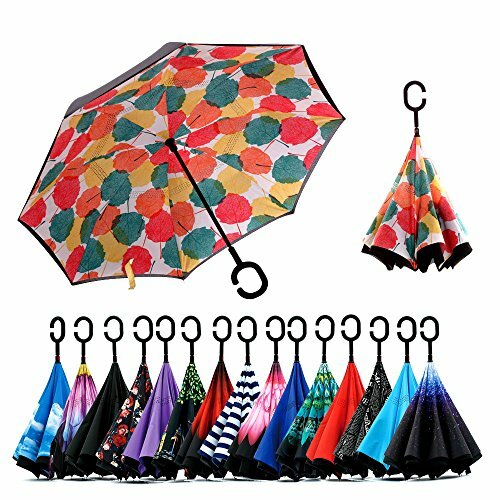 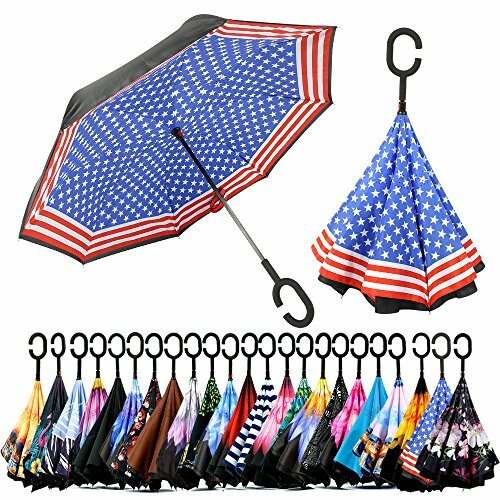 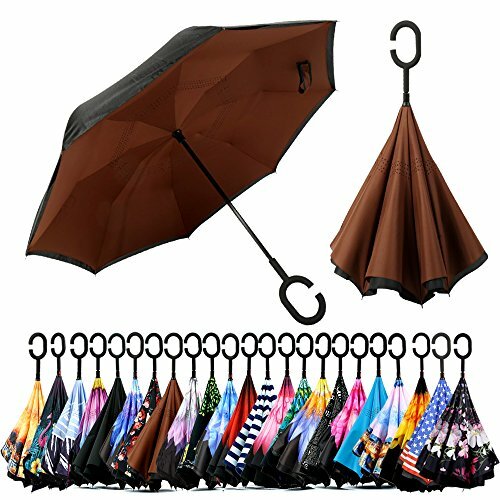 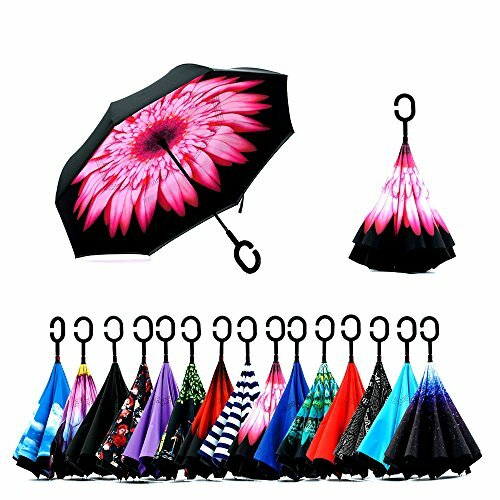 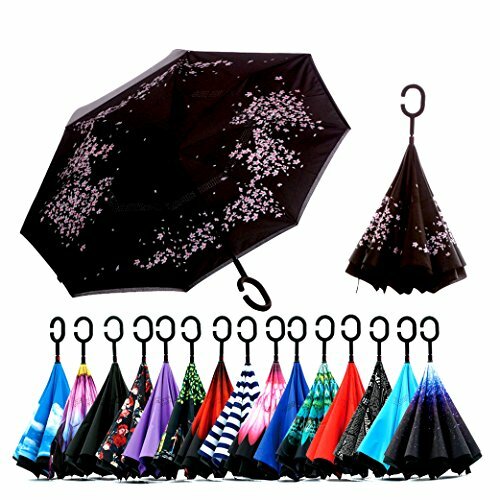 Ideal Gift & Quality Guarantee: This car reverse umbrella is perfect for your car; it's also a creative gift for your parents, friends, colleagues and etc. 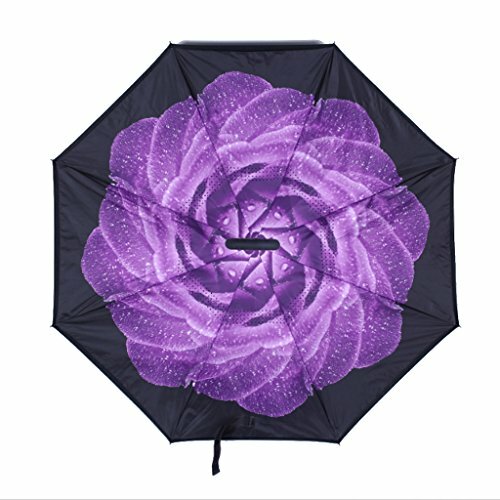 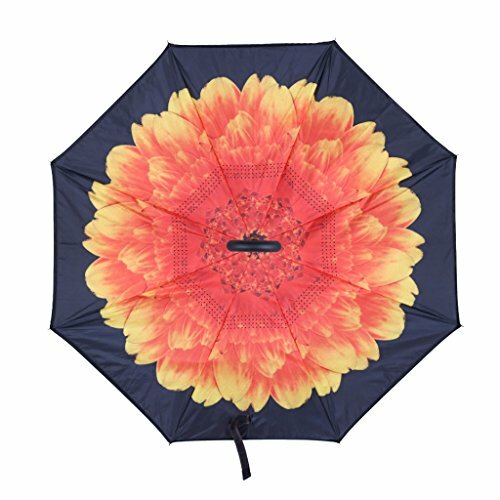 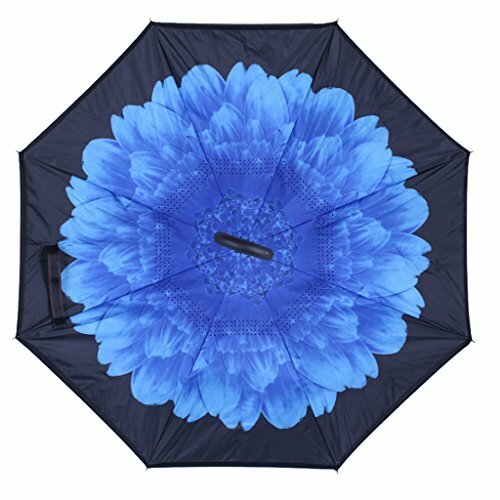 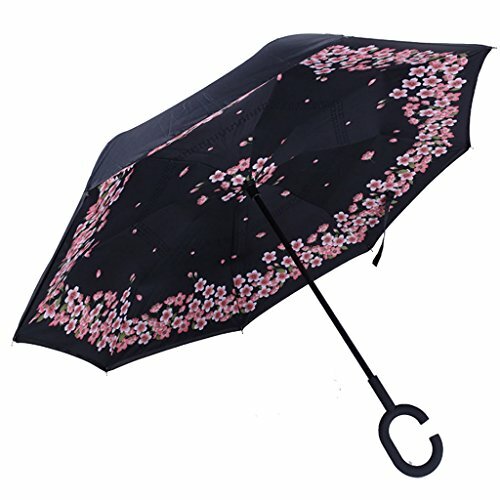 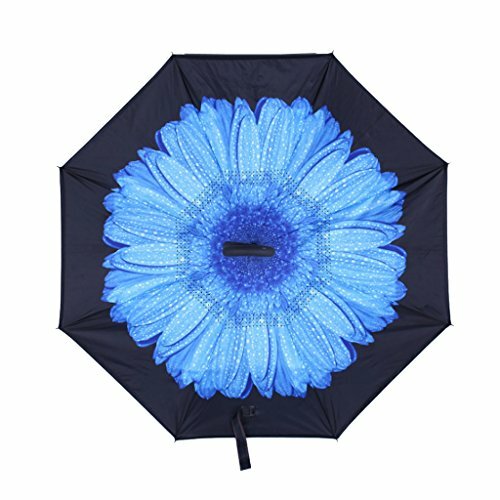 Using this reverse umbrella, you are always protected from rain, wind and UV. 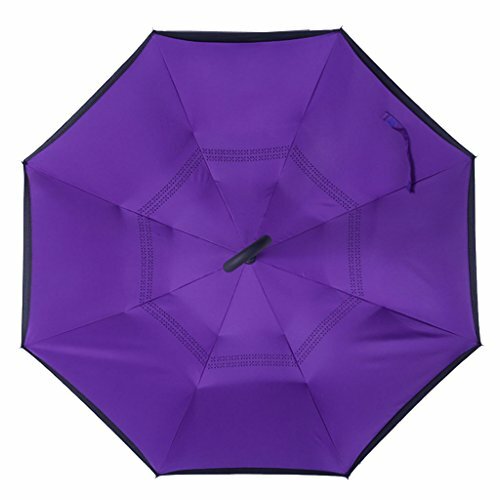 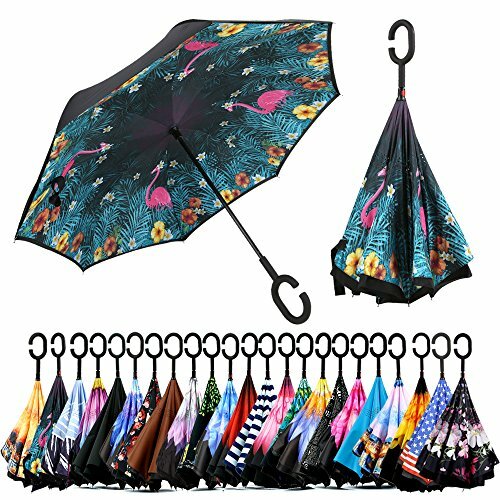 If anything goes wrong with your umbrella, we will send you a replacement absolutely free, no return required.